Now that is a fascinating question and a great article. How did old steggy reproduce? 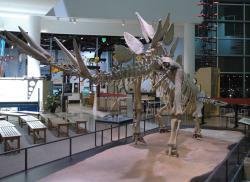 The museum just hosted some really great full-sized dino puppets. I can't help but wonder if the actors would ever be daring enough t try THIS sort of reenactment.